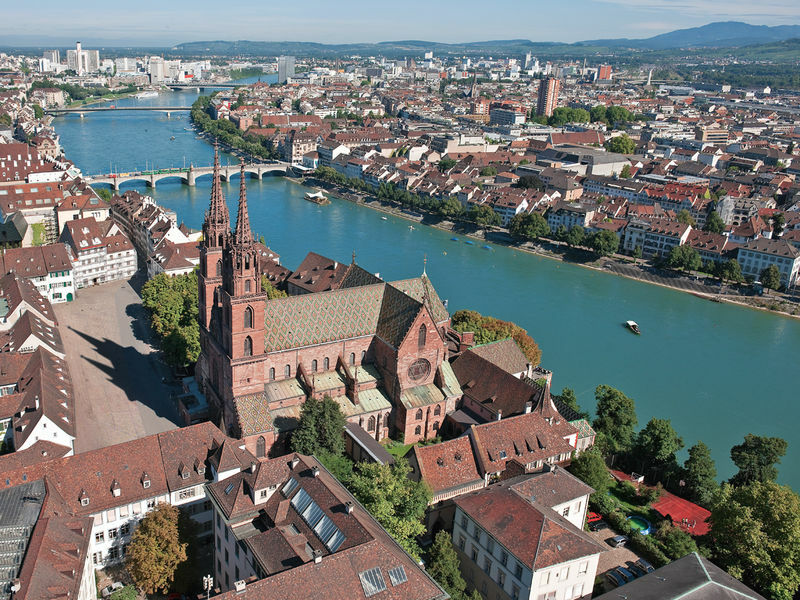 Together with the Mittlere Brücke, the Basler Münster (Cathedral) is probably the most famous landmark in Basel. 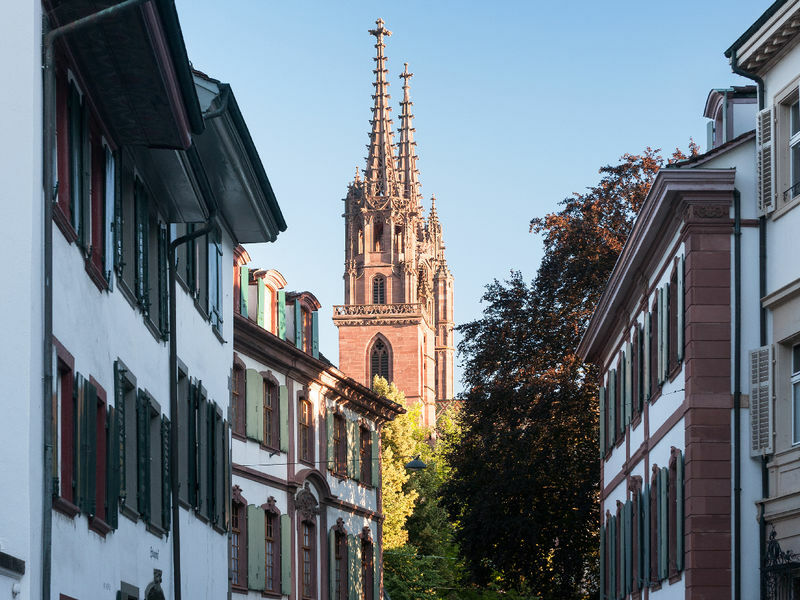 With its red sandstone walls, colourful roof tiles and twin towers, no other building adorns the cityscape of Basel like the Cathedral. 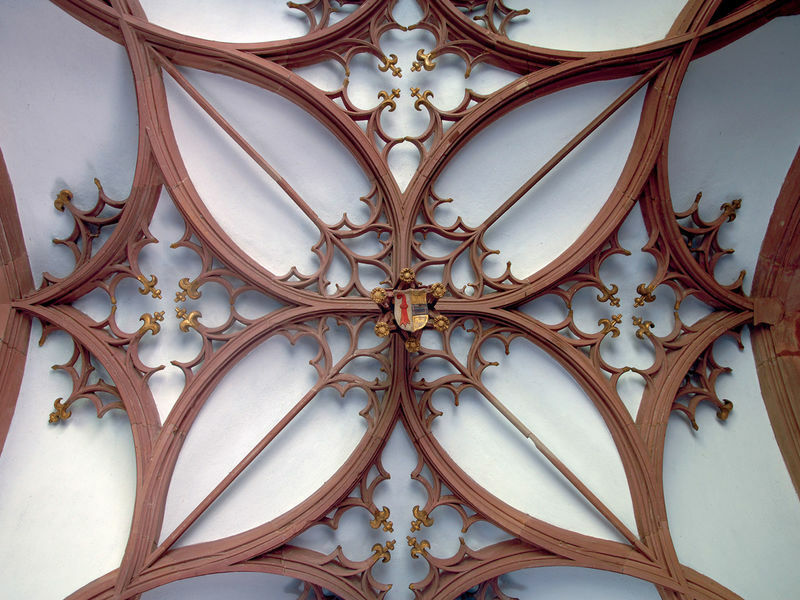 Visit the former episcopal church, built between the years 1019 and 1500 in the Romantic and Gothic styles. 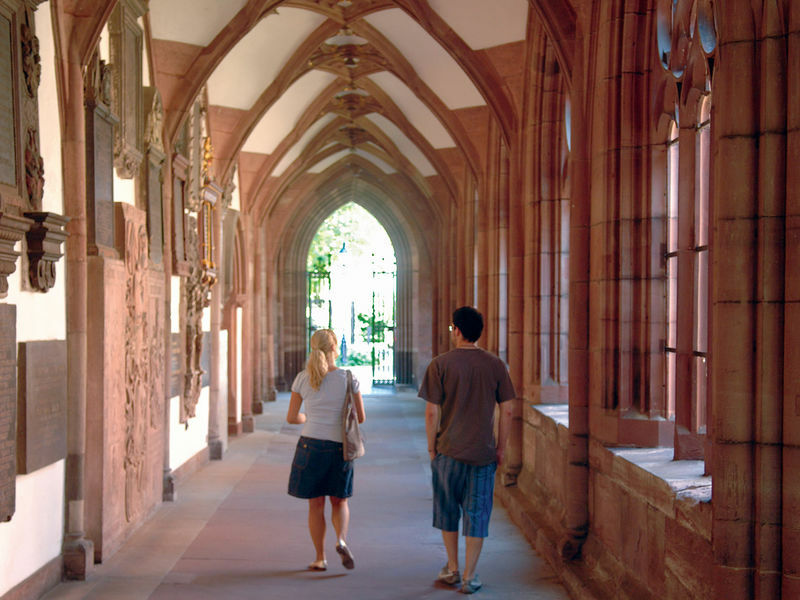 The crypt, the chancel, the tomb of Erasmus of Rotterdam, the Gallus gate and the two cloisters are witness to a fascinating tale of construction over a period of several centuries. The piazza in which the Cathedral stands is today a popular meeting place and is often used for concerts and events. 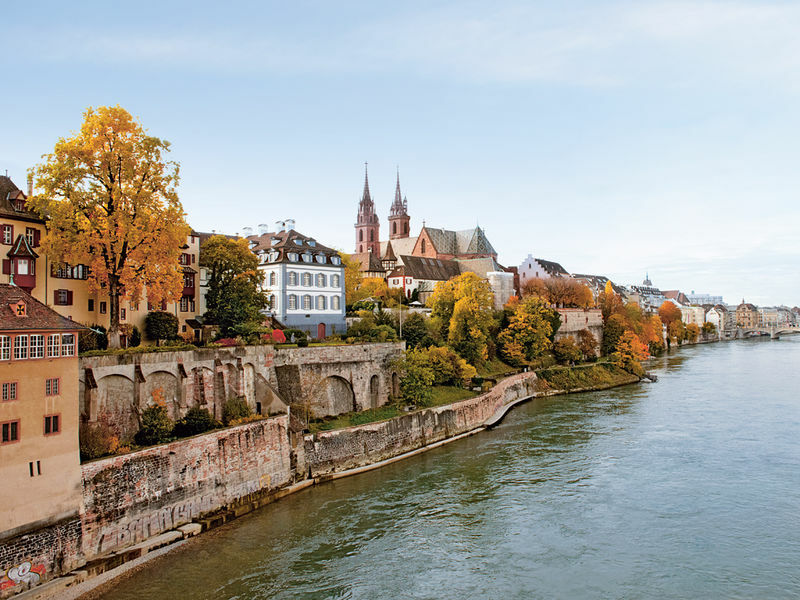 The Pfalz - the terrace offering wonderful views over the Rhine - is one of the most popular viewpoints in the city.